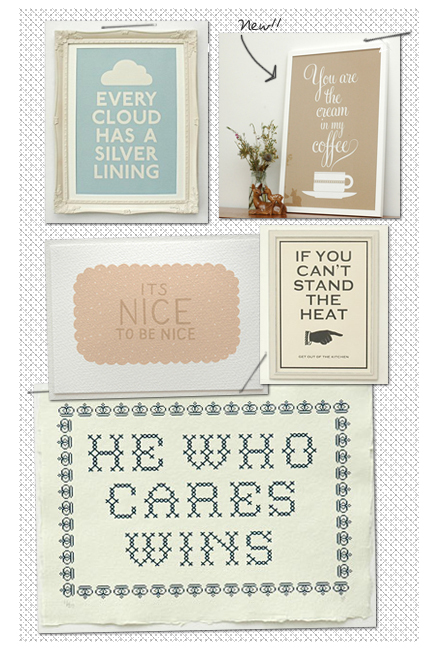 Keep Calm Gallery has such an awesome collection of posters, prints, and cards. "You are the cream in my coffee", their latest, was designed by founders Lucas & Hayley. Inspired by the song written by Buddy DeSylva and Lew Brown for the Broadway musical 'Hold Everything!' I'll have one of each please!! Haha thats such a great saying love it! so sweet and simple. Yes, I love their posters so very much....That new one is so cute!